The Anita 100W BF Mod is a newly-designed squonk mod system integrating a 100W maximum chipset capable of advanced variable wattage and temperature setting adjustments. Designed in a plethora of beautiful interchangeable covers with premium frame material shaping, the Anita BF 100W is designed for ergonomic operation. 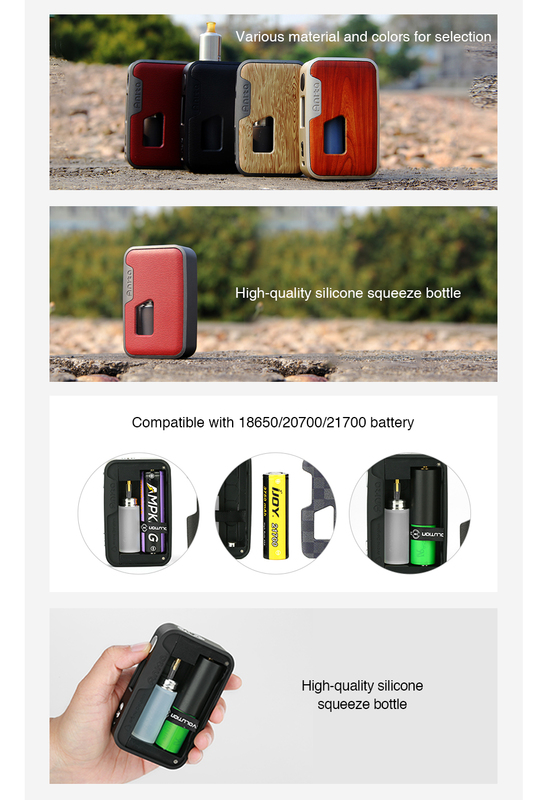 The Arctic Dolphin Anita Squonk BF Mod is compatible with the single 18650, 20700, 21700 batteries. The 7mL refillable squonk bottle can be assessed by a door cover, offering an ergonomic experience when paired with today's top BF RDAs.